Alan specialises in competition, procurement, public/administrative and EU law. The legal directories rank him as a leading junior in competition, EU and telecoms law. Alan has particular experience in dealing with complex regulatory disputes involving combinations of public and EU law and economic issues. He has acted both for and against all the main UK competition and sectoral regulators and the European Commission in cases concerning competition law infringements, regulatory investigations and consumer protection. He is also playing a leading role in the development of the UK’s competition law private damages regime under the changes introduced by the Consumer Rights Act 2015. He recently led the defence team in the Gibson v Pride Mobility case, resisting the first ever application in the UK for a collective proceedings order to permit an ‘opt-out’ class action for recovering consumer losses alleged to have arisen from a competition law infringement. Alan is also regularly instructed in procurement law proceedings (both for claimants and for contracting authorities/utilities). His experience includes claims arising under the Utilities Contracts, Defence Contracts, and Concessions, Regulations. He has a particular interest in State aid law, and is the author of the State aid chapter of Bellamy & Child European Union Law of Competition and the ‘compatibility of aid’ chapter in European Union Law of State Aid. Alan also has extensive experience in Administrative Court proceedings involving EU law issues, including compatibility with EU directives, equal treatment, proportionality and notification under the Technical Standards Directive. He is regularly instructed to appear on behalf of the UK Government in proceedings in the EU Court of Justice. Alan’s competition law practice includes both challenges to regulatory decisions, and bringing and defending private damages claims. In advising and representing his clients, he draws on a wealth of accumulated experience of working for both commercial enterprises and regulators in UK and EU competition law matters. He has acted for and/or against all the main economic regulators, including the European Commission, the CMA (and its predecessors, the OFT and the Competition Commission), OFCOM, OFWAT, OFGEM and the Office of Rail & Road. He has also assisted regulators in drafting their decisions. His extensive experience of litigation in the UK Competition Appeal Tribunal and High Court includes challenges to: infringement and penalty decisions under the Competition Act; regulatory decisions concerning ‘significant market power’ determinations and price controls; and final remedies decisions reached at the conclusion of market investigations. Alan is also regularly instructed in competition law proceedings in the EU General Court. He is also instructed to bring, and to defend, private damages claims relating to competition law infringements, and is playing a leading role in the development of the UK’s competition law private damages regime under the changes introduced by the Consumer Rights Act 2015. His deep experience of both regulatory investigations and private damages claims makes him well placed to assist enterprises from the start of a regulator’s inquiries into an alleged competition law infringement, any subsequent challenges to the regulator’s decisions, and right through to any subsequent private damages claims. He believes that, from the time when a regulator begins making inquiries, it is vital to ‘think forward’ to any possible private damages claims in order to make the right strategic decisions for limiting the client’s overall exposure. Dorothy Gibson v Pride Mobility Products (UK CAT,  CAT 9,  4 CMLR 1429): Led the defence team resisting the first ever application for a collective proceedings order to permit an ‘opt-out’ class action for consumer losses arising from a competition law infringement. British Airways v Commission (EU General Court, Case T-48/11 (judgment: EU:T:2015:988) and now Case T 341/17, ongoing): Principal advocate representing the European Commission in resisting British Airways’ challenge to the €104m fine imposed on it in the Airfreight case. Whistl (formerly TNT Post) v Royal Mail (Ofcom issued Statement of Objections in July 2015; final decision expected soon): Principal counsel advising Whistl in relation to its abuse of dominance complaint against Royal Mail alleging anti competitive exclusionary behaviour directed at preventing end to end competition in letter delivery. Apple v European Commission (EU General Court, Case T 892/16, case ongoing): Challenge by Apple to the Commission’s decision requiring Ireland to recover €13bn alleged unlawful State aid relating to the treatment of Apple’s profits under Irish tax law. Merger control – public interest: Advising the Department for Business Enterprise & Industrial Strategy on proposed reforms to the merger regime under the Enterprise Act 2002 to increase the scope for mergers to be prohibited on national security and other public interest grounds. Choice International v Post Office (Ch.D. ): Application for interim injunction to restrain a refusal to supply contended to be an abuse of dominant position. Derwent Holdings v Marks & Spencer (Ch.D. ): Claim for a declaration concerning the compatibility with competition law of a restrictive covenant in a land agreement. A C Nielsen v Competition & Markets Authority (UK CAT): Challenge to CMA decision not to refer a completed merger for detailed review. Pilkington v European Commission (EU General Court, Case T-72/09, EU:T:2014:1094): Challenge by Pilkington to the €357m fine imposed on it by the European Commission in the Car Glass case. BAA v Competition Commission (UK CAT,  CAT 3, and Court of Appeal,  EWCA Civ 1077): Successful defence of the Competition Commission’s decision requiring the airport operator BAA to sell Stansted Airport. IPCom v HTC Corporation (Ch.D., concluded): Instructed on behalf of HTC in proceedings concerning the obligation of an owner of ‘standard essential’ patents to grant a licence on FRAND terms, and the principles to be applied by the Court for the assessment of a FRAND royalty for a patent. The Construction Industry Collusive Bidding and Recruitment Agencies appeals (UK CAT, multiple judgments): Representing the OFT in these appeals, in which a total of 28 appellants challenged the OFT’s approach for setting penalties for infringements of the Chapter I prohibition. 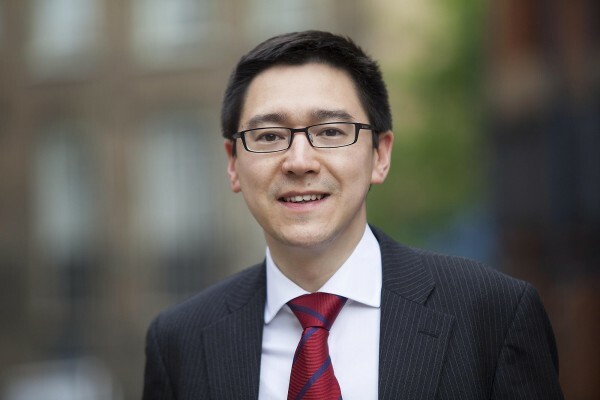 Alan is a contributor to Bellamy & Child European Law of Competition and has written for the Competition Law Journal. He has a particular interest in the potential for competition law and sectoral regulation to contribute to poverty reduction strategies in less developed countries, and advised the Government of Malaysia on the drafting of its competition legislation. Alan is regularly instructed by both bidders and contracting authorities/utilities in procurement law matters. As well as claims under the Public Contracts Regulations, his accumulated experience also includes claims under the Utilities Contracts, Defence Contracts, and Concessions, Regulations, as well as claims under Regulation 1370/2007. The disputes and other matters on which he has advised have included complex procurements, including of rail franchises, global supplies (e.g. supplies to embassies around the world), contracts relating to international assistance, international sporting events, and appointments to very high value multi-customer public sector frameworks. When instructed on behalf of bidders, Alan has secured a number of substantial confidential financial settlements. When instructed on behalf of contracting authorities, his timely strategic advice has often contributed to achieving the prompt lifting of the automatic suspension (usually by consent), and subsequently the withdrawal of the claim. Alan has a particular interest in the application of the procurement rules in the contexts of supplies between NHS bodies, reorganisations of public services, social impact bonds, ‘payment by results’, software licences, use of social criteria, and ‘externalisations’ of public services to charities and other ‘third sector’ providers. He also has a particular interest in the application of EU procurement principles to projects carried out by private sector entities but supported by EU funds. This is an area in relation to which his combination of procurement expertise with deep knowledge of the State aid rules is a strong advantage. Dransfield Properties Ltd v Department for Communities & Local Government (QBD, ongoing): Challenge to decision of DCLG, acting as managing authority for the distribution of EU regional development grants, to claw back grant monies for breach of procurement law requirements. The challenge raises issues as to how EU procurement law principles apply, and should be interpreted, in the context of EU funded projects. Rail franchising: Advising the Dept for Transport in relation to a dispute regarding a particular rail franchise, and as to the lawful options available to the Department for reforming rail franchising arrangements and the letting of such franchises. R (London Borough of Enfield) v SoS for Transport ( EWHC 3758 (Admin) and  EWCA Civ 480): Challenge to the Dept for Transport’s decisions in relation to the specification of a rail franchise, on grounds including alleged failure to comply with duty under the Social Value Act. Natural Resources Wales – Timber contracts: Advising the Wales Audit Office in relation to its investigation into the lawfulness under EU procurement and State aid law of the direct award of contracts to a sawmill operator. EU institutions: Advising an unsuccessful bidder in relation to a proposed challenge in the EU General Court to a procurement decision of the European Commission. Joint procurement: Advising a group of police authorities in relation to a joint procurement of a comprehensive set of ‘back office’ services. The Landscape Group v London Borough of Enfield (TCC): Claim concerning manifest error of evaluation and the approach for assessment of damages. Turner & Townsend v UK Shared Business Services (TCC): Claim alleging errors in the process for appointing suppliers to a high value multi-customer framework for construction services. AEG Live v The Royal Parks (TCC): Instructed for the defendant in relation to a challenge to the outcome of a competition for awarding a concession to operate a major music festival. Associated British Ports v Ministry of Defence (TCC): Claim relating to the fairness of a process for awarding a concession to operate a new commercial port on a site formerly reserved for MoD purposes. Reorganisations of public services: Advising local authorities on the procurement and State aid law compatibility of projects for ‘externalising’ libraries, leisure centres and other community facilities to new independent charitable organisations. International aid: Advising the Dept for International Development in relation to the applicability of EU procurement law to contracts relating to the provision of services in developing countries. Bromcom Computers v Cambridgeshire County Council (TCC): Challenge to local authority’s direct award of contracts for schools’ information management systems. Purdy Contracts Ltd v London & Quadrant Housing Trust (TCC): Acting on behalf of the UK’s largest housing association in relation to its process for awarding gas maintenance contracts covering 44,000 homes. Army Parachute Aircraft Company v Ministry of Defence (Admin. Ct.): Challenge to an award decision for a contract to supply parachute training services to UK Forces. Alan is one of the very small number of London Counsel with a thorough knowledge of EU State aid law and procedure. He is the author of the State aid chapter in the current edition of Bellamy & Child European Law of Competition (having co-authored the same chapter in the previous edition), as well as of the ‘compatibility of aid’ chapter in Bacon, European Union Law of State Aid. As well as litigating State aid cases in both the English and EU courts, Alan has provided advice in numerous State aid matters, to clients who have included UK government departments, local authorities, lottery fund distributors, aid recipients, and complainants about unlawful aid. The industry sectors covered by his work in this field have included transport, public broadcasting, aviation, healthcare, telecoms, banking, social care, tourism, community services, and energy. R (The Durham Company) v HMRC (Upper Trib., ongoing): Challenge to the VAT treatment of local authorities’ supplies of trade waste collection services, contending inter alia that HM Treasury rules allowing local authorities to reclaim quasi input tax constitutes a grant of State aid. State aid notifications: Assisting UK government departments in relation to State aid notifications to the European Commission, and attending meetings with Commission officials to make representations. For example, Alan provided detailed support for DEFRA in relation to its successful notification of the ‘Flood Re’ scheme for flood reinsurance risk-pooling. State aid investigations: Advising and assisting UK government departments, local authorities and alleged aid recipients in responding to the Commission’s initial inquiries and formal investigation procedures. Airport charges: LCIA arbitration concerning the compatibility of airport charges with the State aid rules. R (Leyton Orient FC & Tottenham Hotspur FC) v SoS for Culture Media & Sport (Admin. Ct.): Instructed on behalf of the SoS to resist challenges, under State aid law, to the selection of West Ham FC as the preferred bidder for the Olympic Stadium. Vtesse Networks  EWCA Civ 16: Successful defence of the method used for making rating valuations of underground fibre-optic cables, against a challenge under that the method involved a provision of unlawful State aid to British Telecom. R (British Association of Social Workers) v SoS for Education (Admin. Ct.): Successful challenge the decision of the SoS to enter into an arrangement with a trade union for the setting up of the new College of Social Workers. The challenge alleged breaches of State aid and procurement law. Pension schemes: Advising in relation to the State aid compatibility of arrangements for protecting the pension rights of employees of companies that were formerly State owned monopolies. EU grants: Advising both DCLG and grant recipients in relation to the State aid compatibility of grants made from EU funds. Mobile phone spectrum auctions: Advising a mobile phone operator on State aid issues arising in relation to the distribution of radio spectrum for mobile services. Lottery grant funds: Advising lottery funded bodies, and bodies distributing funds from dormant bank accounts, on their obligations under, and the distribution of funds compatibly with, State aid law. Transfers of public assets: Advising local authorities on the State aid compatibility of transfers of public assets to community organisations, commercial enterprises and ‘spin off’ companies. Alan has written for the journal European State Aid Law Quarterly and previously served as UK rapporteur for the European State Aid Law Institute. Alan frequently advises on matters involving complex points of European Union law, including in the contexts of environmental protection, free movement of goods and services, data rights, State aid, fundamental rights, employment, discrimination and taxation. He is particularly interested in the potential for EU law to be relied upon before the English courts to protect fundamental rights in situations where reliance on the Human Rights Act alone would not provide an adequate remedy. As well as acting for private sector organisations in both English and EU court proceedings, Alan is regularly instructed to represent the United Kingdom in proceedings in the EU Court of Justice. He is also instructed to represent the European Commission. This breadth and depth of experience of EU litigation benefits all the clients for whom he works. Alan is on the editorial board of the journal European Advocate and previously served on the Bar Council European Law Committee. Nunez Torreiro (C-334/16, EU:C:2017:1007), Rodrigues de Andrade (C 514/16, EU:C:2017:908) and Fundo de Garantia Automóvel v Juliana (C 80/17): Representing the United Kingdom in cases concerning the interpretation and application of the Motor Insurance Directive. European Federation for Cosmetic Ingredients v SoS for Business, Innovation & Skills (C 592/14, EU:C:2016:703): Interpretation and scope of application of the EU ban on the marketing of cosmetics products and ingredients tested on animals. Achbita v G4S Secure Solutions (C-157/15, EU:C:2017:203) and Bougnaoui v Micropole (C 188/15, EU:C:2017:204): The leading cases on the distinction between direct and indirect discrimination in EU law, decided in the context of religious discrimination claims relating to female Muslim employees wishing to wear headscarves at work. Pharmaceutical pricing: Advising on the application of EU law to the UK’s Pharmaceutical Price Regulation Scheme. Camacho v Securitas Seguridad España (C-407/14, EU:C:2015:831): Case concerning whether EU law right to an effective remedy requires the availability of punitive/exemplary damages. R (Lafarge Aggregates) v SoS for EFRA ( EWHC 2388 (Admin) and  EWCA Civ 1149): Interpretation of the concept of ‘mining waste’ in EU legislation. Liga van Moskeen (C-426/16): Interpretation of the Meat Hygiene Regulation and its compatibility with the right to freedom of religion. Brexit: Advising the UK Government on issues relating to Brexit and the agreement with the EU of the terms of the UK’s withdrawal and transitional arrangements. EU Ombudsman: Advising on a complaint to the Ombudsman relating to alleged procedural unfairness in the Commission’s conduct of an investigation. Provincia di Bari v Edilizia Mastrodonato (C-147/15, EU:C:2016:606): Interpretation of the Mining Waste Directive and the Landfill Directive. Access to public sector information: Advising an executive agency on the EU law limitations on its rights to charge for access to public sector information under the PSI Directive. EU funds disallowance: Advising a UK government department on a proposed challenge in the EU Courts to a Commission decision disallowing a UK claim on EU funds. Germany v Parliament and Council (C-113/14, EU:C:2016:635): EU constitutional law – invalidity of EU legislation made by the co decision procedure trespassing on the exclusive competence of the Council to adopt intervention threshold prices for agricultural produce. Renewable energy: Advising on the prospects of success of a challenge under EU law to the UK’s early closure of the renewables obligation. EU Pilot letters: Advising a UK government department on its responses to EU Pilot letters threatening the commencement of infraction proceedings for failure to correctly implement EU legislation. R (British Telecom & TalkTalk) v SoS for Culture ( EWHC 1021 (Admin) &  EWCA Civ 232): Challenge to the compatibility of the Digital Economy Act’s provisions directed at reducing the extent of illegal peer-to-peer file-sharing with EU law, including the Authorisation Directive, the E-commerce Directive, the Data Protection Directive, the Technical Standards Directive, and the principle of proportionality. Airport regulation: Advising on the compatibility with EU law of proposed changes to airport landing slot arrangements and charges intended to encourage domestic air routes into a hub airport. Alan’s combination of expertise in competition and EU law, economic regulation, and public & administrative law makes him a popular choice for clients challenging or defending regulatory decisions, or finding themselves under the microscope of regulatory investigations. He has been instructed by, or in relation to decisions of, all of the main UK competition and utilities regulators, and has gained detailed knowledge of the inter-relating technical and economic features of telecoms, energy, water, postal services and other regulated industries. The telecoms regulation matters on which he has advised include: the General Conditions of Entitlement, Significant Market Power conditions, Competition Act investigations, Telecommunications Code disputes, dispute resolution under section 135 of the Communications Act, premium rate services regulation, telecoms ombudsman schemes, number portability, the E-commerce Directive, data privacy, the media ownership rules, cross border regulation issues, and notification under the Technical Standards Directive. Alan has also acted both for and against the premium rate phone lines regulator Phonepay Plus, and also has experience of disputes under various industry codes of practice and ombudsman schemes. In the energy sector, Alan has advised both energy companies (generators as well as suppliers) and OFGEM in relation to regulatory investigations and proposed penalties. His ability to combine knowledge of OFGEM’s regulatory rules and procedures with his deep knowledge of competition, EU and State aid law makes him a stand out choice for clients dealing with regulatory cases cutting across these areas. Royal Mail pricing structure: Advising Whistl in relation to its complaint against Royal Mail’s setting of allegedly anti competitive regulated access prices. British Telecommunications Plc v Ofcom (Re: APCCs) ( CAT 22): Representing Sky and TalkTalk in proceedings challenging an OFCOM dispute determination concerning ‘cost-oriented’ prices for onward routing of calls to ported landline phone numbers. R (May Lean) v OFGEM ( EWHC 1360 (Admin),  All ER (D) 78 (Sep)): Successful defence to challenge to OFGEM’s decisions in the context of ensuring compliance with energy suppliers’ duties to install energy saving measures. Energy trading: Advising OFGEM in relation to an investigation relating to a suspected breach of electricity trading rules. R (RWE) v Gas & Electricity Markets Authority ( EWHC 2164 (Admin),  1 CMLR 636): Judicial review of OFGEM’s decision to approve changes to the way in which National Grid Electricity charges (a) renewable energy generators, and (b) conventional generators, for their use of the national electricity grid. TalkTalk Telecom Group Plc v Ofcom (Re: MPF New Provide): Instructed for Sky, intervening in a CAT challenge concerning the interpretation of BT’s regulatory duties to supply wholesale access to competitors on ‘fair and reasonable terms’. Mobile satellite services (MSS): Advising a satellite communications business on regulatory issues regarding the use of MSS frequencies. BT/Openreach: Advising on issues relating to the legal separation of Openreach from BT plc. Energy saving obligations shortfall: Advising an energy generation company on its defence to an OFGEM investigation for failure to achieve its targets for causing the installation of energy saving measures in consumers’ homes. Creation of a new telecoms business: Advising on regulatory issues relating to the creation of a new telecoms business, including the exercise of powers under the Electronic Communications Code. Telephone numbering: Advising a call handling company in a dispute regarding control of distinctive telephone numbers. Water markets: Advice to UK Government on reform options for water services markets. Mobile phone spectrum: Advising a mobile phone network in relation to proposed challenges to the process for ‘liberalising’ radio spectrum for 4G mobile services. Investigatory powers: Advising a regulator in relation to the proposed imposition of a penalty on a regulated business for providing misleading information during an investigation. R (Clix Connex) v PhonepayPlus: Challenge to the lawfulness of Phonepay Plus’ imposition of a ‘prior permission’ requirement for the provision of certain types of information services accessed via premium rate phone numbers. Cheers Telecom v Phonepay Plus: Challenge to penalties imposed on an operator of premium rate phone lines in respect of revenues from mis-dialling by consumers wishing to call the ‘Big Brother’ TV voting lines. E.ON UK Plc v GEMA (CC02/07): The first appeal against an energy code modification decision. Alan combines his thorough knowledge of public law with a pragmatic and client-focused approach, and a willingness to grapple with cases involving economic issues or a high degree of technical complexity. He is a particularly sought-after choice for challenges to price control and other regulatory decisions turning on complex technical and economic issues, impact assessments or cost-benefit analysis. He also has a particular interest in local government law, and has advised public bodies on complex reorganisations of public services provision raising multiple legal issues including procurement, State aid, TUPE, local government, general public law, and equality impact assessment. Alan has an easy familiarity with the Human Rights Act and the case-law of the European Court of Human Rights (including as applied in the commercial context), as well as with the protections of fundamental rights under EU law. From 2000-2001 he worked at the Law Commission, auditing the compatibility of legislation with the European Convention on Human Rights, contributing to guidelines that were subsequently issued to judges in advance of the coming into force of the Human Rights Act. He is also familiar with the interaction between public law litigation, political campaigning and parliamentary processes. He has advised campaigning organisations on UK Parliamentary procedure and political lobbying strategies, and has drafted submissions to Parliamentary select and standing committees. He recognises that judicial review proceedings are often only part of a client’s wider political or commercial strategy, and is keen to work with clients to develop a multi-pronged approach that is best adapted to achieve their objectives. R (May Lean) v OFGEM ( EWHC 1360 (Admin),  All ER (D) 78 (Sep)): Judicial review of OFGEM’s approach to ensuring compliance with energy suppliers’ duties to promote energy efficiency. R (Lafarge Aggregates) v SoS for EFRA ( EWHC 2388 (Admin) and  EWCA Civ 1149): Judicial review of planning inspector’s decision for alleged mis interpretation of EU legislation. BAA v Competition Commission ( CAT 3 and  EWCA Civ 1077): Judicial review of competition regulator’s decision requiring the airport operator BAA to sell Stansted Airport. R (European Federation for Cosmetic Ingredients) v SoS for Business Innovation & Skills  EWHC 4222 (Admin): Judicial review of the UK Government’s interpretation of the EU Cosmetics Directive. Kent v Arun District Council ( EWHC 2295 (Admin)): Judicial review of a local authority’s informal enforcement action in asking a venue operator to cancel an event that the authority suspected would involve commission of offences. Police trading powers: Advising police forces on the public law constraints on their powers to trade. R (Julianna Moore) v Judicial Conduct Investigation Office (Admin. Ct., ongoing): Judicial review of a coroner’s decision on the ground that it unlawfully found that the deceased’s wife had lured him to his death. Alan’s experience in this growing area of legal practice spans the protection of personal data, access to public sector information, and freedom of information. He has advised both public authorities and commercial organisations on a wide range of data protection issues, including data storage, cross-border data sharing, the Data Retention Directive, the Privacy and Electronic Communications Regulations, and Data Protection Act requests. Alan also has considerable experience of litigating freedom of information disputes in the First-tier and Upper Tribunals. As well as having expertise in information law itself, Alan is also familiar with related private and human rights law rules, including the common law duty of confidence, the Aarhus Convention on public participation relating to the environment, statutory bars to disclosure, and the right to private life under Article 8 ECHR. He has provided training for commercial organisations and NGOs on compliance with the General Data Protection Regulation, and on how to make most effective use of the Freedom of Information Act, the Environmental Information Regulations, and the right to request documents from the EU under Regulation 1049/2001. Department for Communities & Local Government v Information Commissioner and WR ( UKUT 103 (AAC)): Acting for the successful appellant to the Upper Tribunal in the leading case on the treatment under the Environmental Information Regulations of documents subject to legal professional privilege. Ryanair v Information Commissioner and OFT (EA/2012/0088): Interpretation and scope of the statutory prohibition on information disclosure in sections 237 & 238 of the Enterprise Act. People for the Ethical Treatment of Animals v Information Commissioner and Oxford University (EA/2009/0076): Scope of right to access to information about scientific procedures using animals. Access to EU documents: Advising a NGO on a complaint to the European Ombudsman in relation to access to EU documents. Commercial confidentiality: Advising a university in relation to FOIA requests seeking commercially confidential information. Sensitive investigations: Advising the Crown Prosecution Service regarding FOIA requests seeking information about sensitive criminal investigations and alleged miscarriages of justice. Public Sector Information: Advising an executive agency on the interpretation of the PSI Directive. Alan read Law at Christ’s College, Cambridge, graduating with first class honours. He was awarded the University’s Clive Parry Prize for Public International Law, the De Hart Prize for Public Law (re-awarded twice) and was a scholar of his college. He was subsequently awarded a Thouron fellowship at the University of Pennsylvania, where be obtained an LL.M. degree in 2002. The Middle Temple awarded him a Queen Mother scholarship for his year at Bar School. For the judicial year 2004-05, Alan was Judicial Assistant to the then Senior Law Lord, Lord Bingham. He has also worked at the Law Commission of England & Wales on a project relating to the coming into force of the Human Rights Act 1998, and interned with an organisation in India that was conducting DFID-funded research on the enactment and enforcement of competition law in developing countries. In 2006, Alan was awarded a Pegasus scholarship which enabled him to spend a period working on competition and regulatory disputes at leading New Zealand law firm Chapman Tripp and also seeing the work of the NZ Commerce Commission. He is a strong believer in the need for the Bar to be modern, meritocratic, user-friendly and diverse, while staying true to its ethics and values, and he has sought to further that belief through membership of the Bar Standards Board’s Education & Training Committee and other Bar committees. Outside work, Alan’s interests include independent travel and learning to play the violin. He is a governor of a London primary school and a trustee of a think-tank and an animal welfare charity.